your environment free of pests. Licensed, university educated and highly trained technicians – available 24-hours-a-day, 7-days-a-week. Toronto, Mississauga, Brampton, Oakville, Burlington, Cambridge and Hamilton. 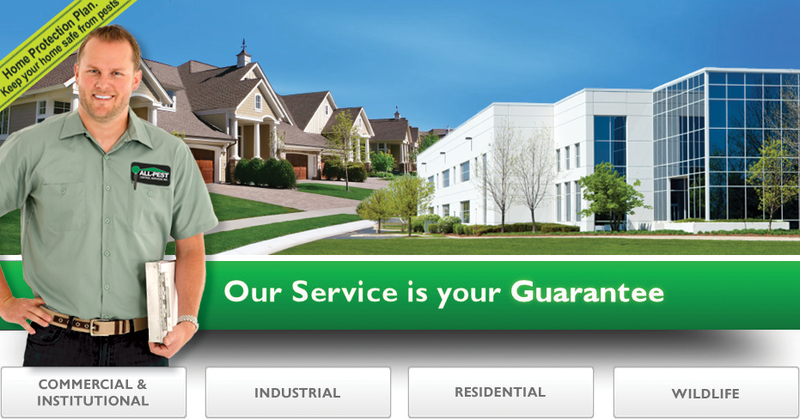 Canadian owned and operated for twenty-five years, All-Pest Control offers the most advanced methods of pest prevention and control in the industry, including Green Solutions and Integrated Pest Management (IPM) for LEED. All-Pest Control delivers effective control of mosquitoes (West Nile virus), mice, rats, wasps, spiders, ants, cockroaches, fleas, bed bugs, urban wildlife and bird pests. Visit our common pest pages to learn how All-Pest Control can help. For hundreds of years we have known that pests are a potential vector of disease. That’s why almost all public buildings from office towers and condo buildings to day care centres and food plants have regular and professional pest control services. None of us can afford to ignore rats, mice, cockroaches, bed bugs and other pests. It’s a matter of public health – your health.